Geeta Phogat (born 15 December 1988) is a freestyle wrestler who won India's first ever gold medal in wrestling at the Commonwealth Games, in 2010. She is also the first-ever Indian woman wrestler to have qualified for the Olympics. She comes from a Hindu Jat family of Balali village in Bhiwani district, Haryana. Her father Mahavir Singh Phogat, a former wrestler himself, is also her coach. Based on the journey of Arjuna awardee Mahavir Singh Phogat and his daughters, Aamir Khan's movie 'Dangal' is already breaking box-office records. 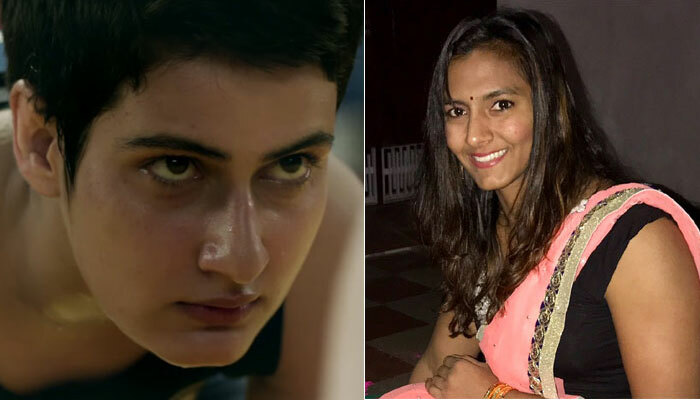 Apart from Mr Perfectionist Aamir Khan, the film has seen superb acting from Fatima Sana Shaikh and Sanya Malhotra, who play the characters of Geeta Phogat and Babita Kumari respectively. Dangal is an inspirational story of how Mahavir trained his two daughters — Geeta and Babita — to become renowned wrestlers. The Phogat sisters went on to win gold medals in the 2010 Commonwealth Games. Geeta’s 2010 Commonwealth Games Gold medal was perfectly showcased in the movie and is a treat for all those who haven’t witnessed the real bout that was hosted at the Indira Gandhi Arena in the capital. The real-life Geeta had posted a magnificent 1-0, 7-0 victory over Australia’s Emily Bensted in the 55kg freestyle wrestling final to clinch the Gold.